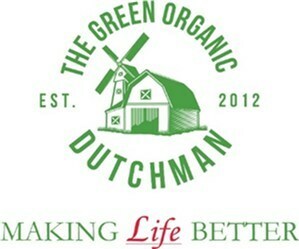 TORONTO, Feb. 6, 2019 /CNW/ - The Green Organic Dutchman Holdings Ltd. (the "Company" or "TGOD") (TSX:TGOD) (US:TGODF) is pleased to announce that, further to its news release of January 24, 2019 announcing the record date for the distribution (the "Distribution") of unit purchase warrants ("SpinCo Unit Warrants") of TGOD Acquisition Corp. ("SpinCo") under its previously announced plan of arrangement with SpinCo (the "Arrangement"), TGOD has now mailed an election form (the "Election Form") to all registered TGOD shareholders of record as of January 31, 2019 (the "Distribution Record Date") who have an address of record outside the United States. All non-U.S. registered TGOD shareholders of record as of the Distribution Record Date who wish to receive the SpinCo Unit Warrants they are entitled to under Arrangement must complete the Election Form and deliver it to Computershare Investor Services Inc. as the tabulation agent (the "Tabulation Agent") by 4:00 p.m. (Toronto time) on February 22, 2019 (the "Election Deadline") or they will lose their right to receive any SpinCo Unit Warrants. The Election Form is for use by registered TGOD shareholders only (i.e. TGOD shareholders who hold their TGOD shares in their own name) ("Registered TGOD Shareholders"). TGOD shareholders who hold their TGOD Shares through a broker, investment dealer, bank, trust company or other nominee ("Beneficial TGOD Shareholders") should contact their nominee for instructions and assistance in respect of the election to receive the SpinCo Unit Warrants or, in the case of U.S. Beneficial TGOD Shareholders, their pro rata share of the cash proceeds from the sale of the SpinCo Unit Warrants they are entitled to receive under the Arrangement. The SpinCo Unit Warrants to be distributed pursuant to the Distribution will not be registered under the laws of any foreign jurisdiction, including the United States Securities Act of 1933, as amended (the "U.S. Securities Act"). Consequently, NO SPINCO UNIT WARRANTS WILL BE DELIVERED TO ANY REGISTERED OR BENEFICIAL HOLDER OF TGOD SHARES WHO IS, OR WHO APPEARS TO TGOD OR COMPUTERSHARE TRUST COMPANY OF CANADA, AS CUSTODIAN (THE "CUSTODIAN") TO BE, AN INDIVIDUAL OR ENTITY THAT QUALIFIES AS A U.S. PERSON UNDER APPLICABLE U.S. SECURITIES LAWS (COLLECTIVELY, "U.S. SHAREHOLDERS"). Such SpinCo Unit Warrants will be delivered by TGOD to the Custodian for sale by the Custodian on behalf of all U.S. Shareholders and U.S. Shareholders (and in the case of U.S. Beneficial TGOD Shareholders, electing U.S. Shareholders) will receive from the Custodian their pro rata share of the cash proceeds from the sale of such SpinCo Unit Warrants, less any commissions, expenses and any applicable withholding taxes. It is anticipated that the SpinCo Unit Warrants will have nominal market value. In general terms, SpinCo Unit Warrants can constitute "qualified investments" under the Income Tax Act (Canada)(the "Tax Act") as of any particular time if the underlying common shares of SpinCo ("SpinCo Shares") are listed on a "designated stock exchange" or SpinCo is a "public corporation" for purposes of the Tax Act at the relevant time. However, an application for listing of the SpinCo Shares will NOT be made on any stock exchange on the Effective Date, and there is no assurance when, or if, such SpinCo Shares will be listed on any stock exchange. In addition, SpinCo is not currently a "public corporation" for purposes of the Tax Act. SpinCo has indicated that it will consider its options to become a "public corporation" for purposes of the Tax Act after the Effective Date. If SpinCo becomes a "public corporation" on or before its filing-due date for its first taxation year (whether by achieving listed status for SpinCo Shares on a designated stock exchange or otherwise, including where SpinCo achieves sufficient dispersal and meets the other requirements to make a "public corporation" election under certain provisions of the Tax Act), it has indicated that it intends to make a special election under the Tax Act to be deemed to have been a "public corporation" from the beginning of the year. No assurance is provided that SpinCo will meet the conditions to become a "public corporation" on a timely basis, or at all, or that SpinCo will be in a position to make, or will make, a valid election or elections for purposes of the Tax Act as indicated. Accordingly, the SpinCo Unit Warrants may not be "qualified investments" under the Tax Act for RRSPs, TFSAs or other registered plans as at the time of issuance, and the Distribution could therefore subject the relevant plan and/or its annuitant or holder to penalties and adverse tax results. These tax results are not addressed in any detail in the Circular, and no representation is made in this regard. TGOD Shareholders who hold TGOD Shares within an RRSP, TFSA or other registered plan should consult with their own tax advisors promptly in this regard and with respect to all relevant treatment under the Tax Act before choosing to elect to receive SpinCo Unit Warrants in accordance with the election process. For additional details respecting the Distribution, the Arrangement and the election process, please refer to the management information circular of the Company dated November 7, 2018, the Company's news release of January 24, 2019 and the Election Form, a copy of each of which is available under the Company's SEDAR profile at www.sedar.com, visit the Frequently Asked Questions section here, or contact TGOD's investor relations team at: invest@tgod.ca or (416) 900-7621. SpinCo is an investment company guided by an investment policy primarily focused on investments in the cannabis industry in Canada and internationally. SpinCo's investments may include the acquisition of equity, debt or other securities of publicly traded or private companies or other entities, financing in exchange for pre-determined royalties or distributions and the acquisition of all or part of one or more businesses, portfolios or other assets, in each case as SpinCo believes will enhance value for the shareholders of SpinCo in the long term. SpinCo's board of directors and management team have considerable financial, mergers and acquisitions and cannabis industry experience and will consist of David Doherty, Chief Executive Officer and Director who has transitioned from TGOD, Nick Demare, Chief Financial Officer, and Jeff Scott, Director.